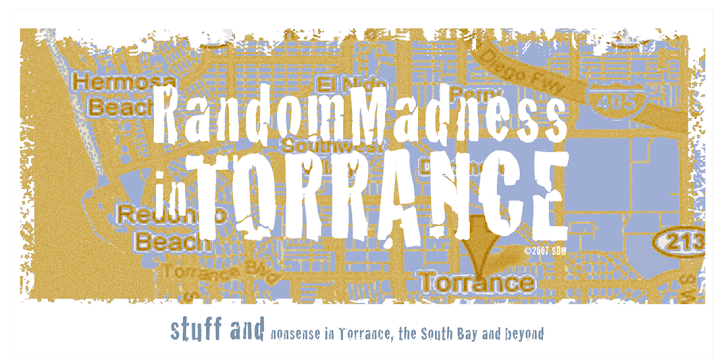 Random Madness in Torrance: Populux is cool, isn't it? My sister-in-law had one about a year ago, my niece just finished one, Jill at Sollillllooqueey is completing hers. A friend just told me she'll be starting one in a month or so. Lindsay Roberts has done it 11 times, courtesy of ORU. Is everyone and their mother getting a kitchen remodel? Am I the only one with band-aid colored tiles - tiles that have cracks from hitting them with frozen peas? (my bad.) Am I the only one with a vinyl floor with faux wood vinyl molding? Does anyone else have faux bricks glued to the side of their cabinets? Anyone else light their stove with a match? Does anyone else find pictures of their appliances in housekeeping magazines from 1960? I know. Genocide, war, pestilence, global cooling/warming all trump my petty kitchen concerns. I'm green, but not because I recycle. I've considered doing the job piece meal, but the problems have a 'domino effect.' I considered having my cooktop rechromed, but it would cost about as much as a new cooktop. So, I thought, I'd replace it. 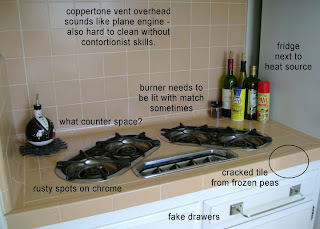 But, my burners are built into the countertop - you'd have to rip out the tiles to replace the cooktop, which means that it wouldn't match the other countertop (even if I wanted flesh-tone tiles, where would I get them), so you'd have to replace that. The tiles are built up and around the window and sill, so the old window should be replaced too - so, shouldn't I do the rest of the windows? The sink is old, and the tiles are built around that too, so, the sink would have to come out. Of course, I have no dishwasher - wouldn't it be wise to get one? Which, of course means that the cabinets have to come out. Ok, so what if I just do the floor - I'd have to replace the molding, which would most likely damage the wall, as it's attached with industrial strength glue, which means plastering. Of course, then I'd really want to rip out the Z-brick that's falling off in spots anyway, which means the cabinets would have to be refinished, or replaced, which means I really should consider reconfiguring the whole layout....blah, blah, blah. Maybe I should tackle the bathroom instead...or find poorer friends. I am sorry about your kitchen status. That cooktop looks quite interesting. I agree that piecemeal is not a good way to go on a kitchen. It has been a pain doing it all in one shot, but at least it will be done. I found ways to save a bit here and there. I had cabinets and counters done by the pros. 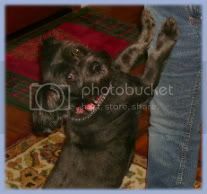 But I bought my appliances myself, that way I could shop around for exactly what I wanted and compare prices. Also, when I went to buy them, I talked to the manager at the giant national chain store and said that I was buying all the stuff and I wanted him to give me a deal. I got 10 percent off all the stuff I bought that day. So I went ahead and bought the sink and faucet, too. I ended up saving about $500, which was the cost of the dishwasher. I did the floor tile myself and will do the backsplash. I will save about $1,200 that way. Not huge bucks in the sum total of a new kitchen, but it adds up. And I learned a new skill. I will keep my fingers crossed for you and your kitchen, Susan. thanks. it's not that bad - i'm kinda use to it. hey, maybe someone from HGTV will read this....yeah, right!